Internet, Web Design and Search Optimization including Hosting, Internet, Domain Names, and Email by Consys in Prescott, Arizona. Consys offer low cost web desing, web hosting, domain names, email and much more. With Consys hosting and servers, your online presence is secure, reliable and lightning-fast compared to other hosting services. Visibility on the Internet. 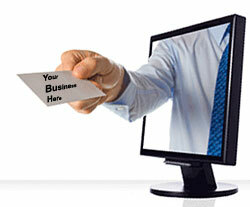 Consys specializes in getting your website seen by search engines. A beautiful website still must be able to be found! This process is called "search engine optimization" or SEO in the Internet business. One stop shopping, Consys does it all! Setup, concept, design hosting and even database integration. Consys will walk you through the entire process. Click here to see our domain name plans, shopping carts, email and so much more.